GAMUDA rebound from RM3.35 level. 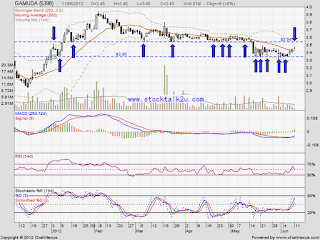 Will it break through RM3.54 resistance? Stochastic %K still on BUY call. 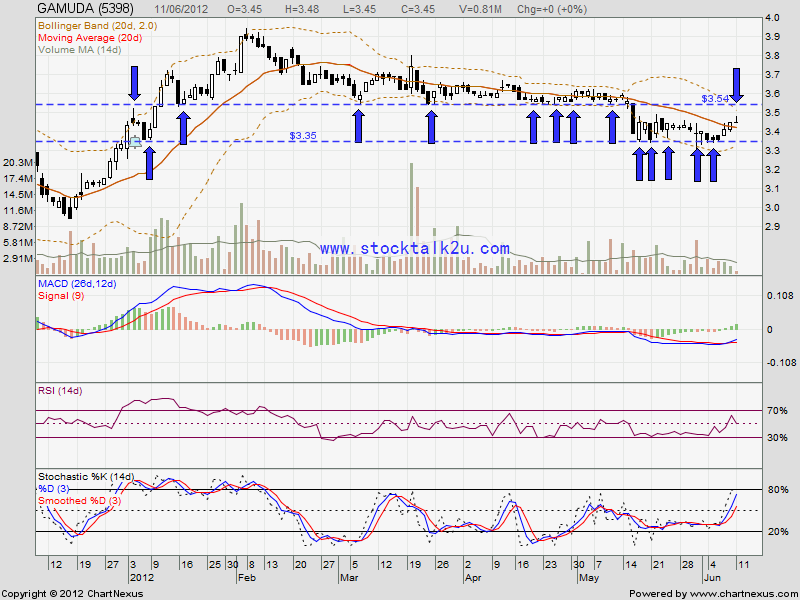 High probably it will retest RM3.54 resistance level. If the bull strong enough, potentially break through RM3.54 level. If retrace down, MA20 is the immediate support.